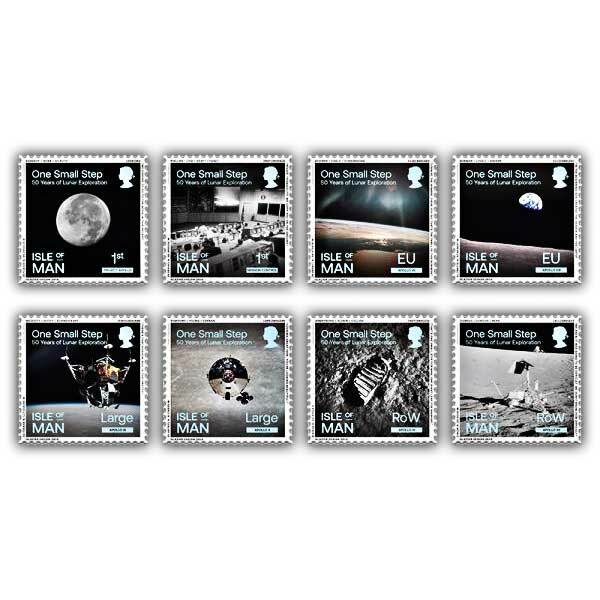 This exquisite, 24 page, full colour booklet contains two full sets of the 'One Small Step' stamps. The booklet was designed by Glazier Design of London and is available in mint condition or cancelled to order. This wonderful booklet features commentary written by George Abbey, former Director of the Johnson Space Center, who was involved in the Apollo Programme, was responsible for all space shuttle flight crews and put America's first woman in space. 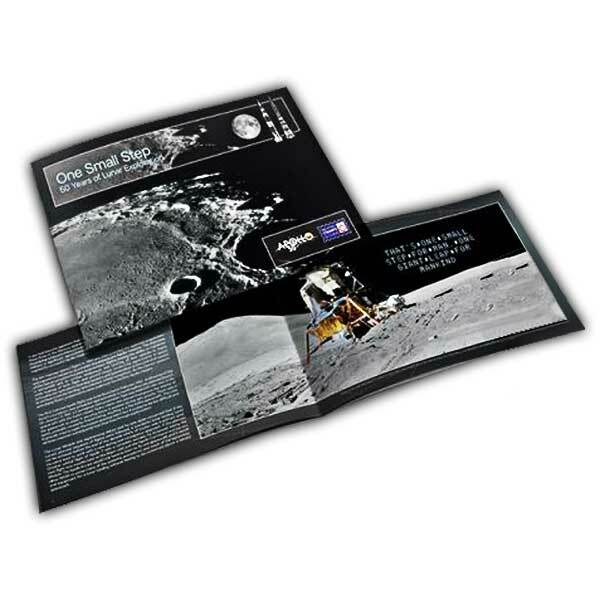 Mr Abbey was not only kind enough to write the history of the Apollo missions, he also spent time with our designers during the research phase; his personal experience and insight on important mission facts was instrumental in the structure of the stamps and the choice of images supplied by NASA.